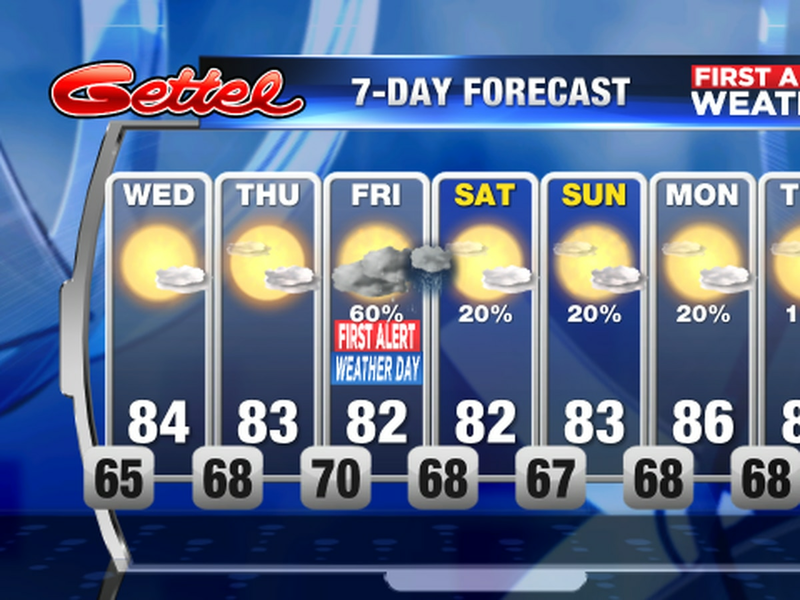 SARASOTA (WWSB) - Today will continue the warm and humid weather we have seen all week. Seabreeze winds in the afternoon will aggravate the impacts of red tide at our beaches today, however with a frontal passage tomorrow a wind shift out of the northeast or east will improve beach conditions. Tomorrow’s cold front will be a relatively mild one. The main impact will be a slightly cooler high temperature and lower humidity. We may pick up a few more clouds tomorrow and into next week as the front stalls to our south. 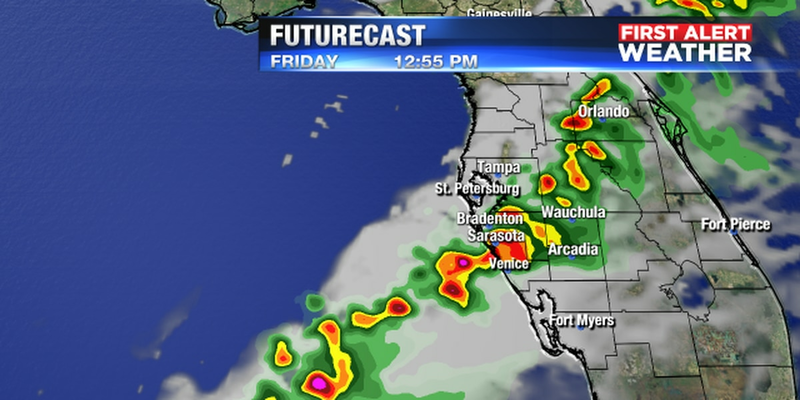 Rain fall will be very limited however as the dry air moves in. A much stronger cool front will approach mid next week. 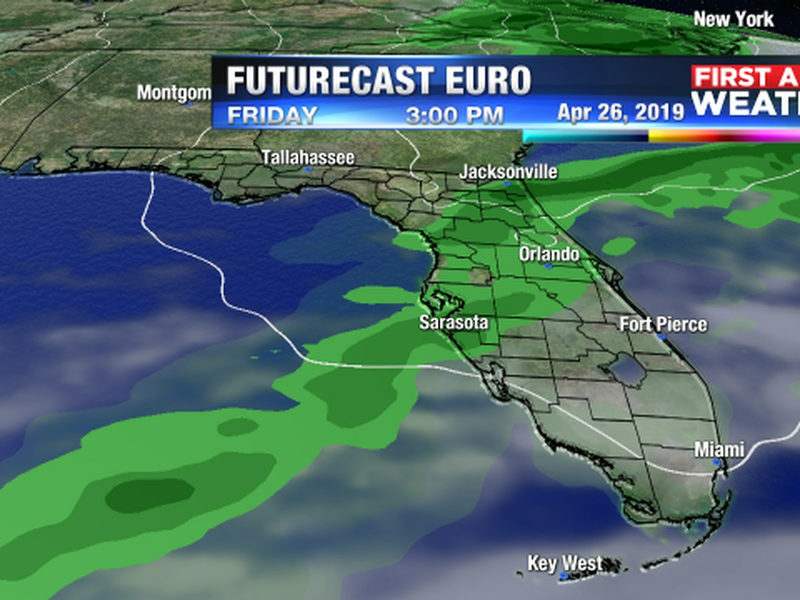 It tends to kick up the winds and bring in some much cooler air, dropping our highs into the low 70s or upper 60s with some night time lows inland into the 40s and 50s. A second, perhaps, even cooler front will arrive close to Thanksgiving and another significant cool down may be possible then.